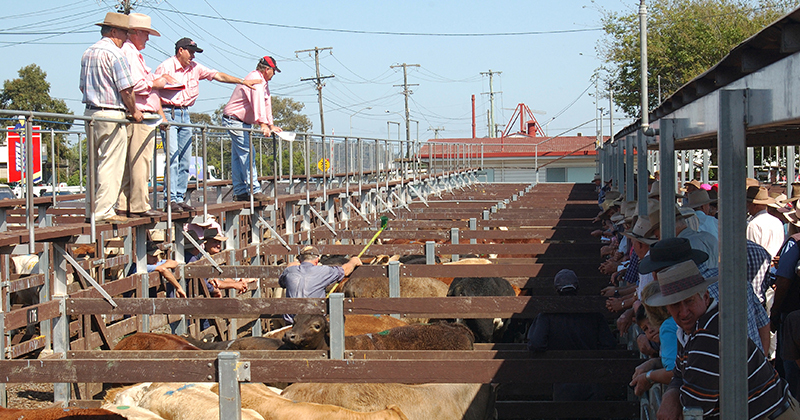 The cattle price rally continued this week but slowed. 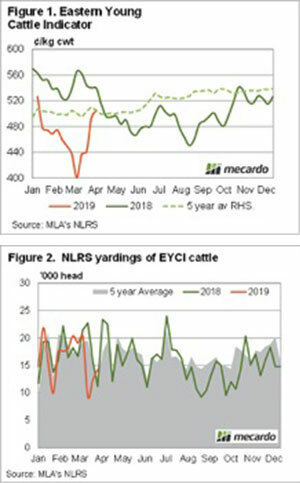 The Eastern Young Cattle Indicator (EYCI) did break through 500¢ for the first time since very early January and it looks likely to break through last year’s levels. With little rain about this week and none on the forecast, cattle buyers took a breath and held prices relatively steady. Figure 1 shows the EYCI was due to slow a little. The rally hit 105¢ this week and it has done it in a month. The EYCI was at 505¢/kg cwt on Thursday and right on the five year average. This time last year, young cattle prices were heading in the other direction. This suggests that this year’s values will surpass year-earlier levels for the first time since July 2017. Young cattle supply has remained relatively low. It’s unusual for EYCI yardings to remain below 15,000 head for more than a week at this time of year. No doubt producers are holding what cattle they have left to take advantage of some autumn grass growth. Paddock feeder prices have rallied, but only marginally. Lot feeders never really paid much less for export feeders, so the smaller increase was to be expected. Export feeders are still commanding a 30¢ premium over the EYCI, which is within the historical range, but at the stronger end. In the West, cattle prices are less exciting. The WYCI was steady this week at 533¢/kg cwt, still stronger than its eastern counterpart, but 45¢ below this time last year. Another 8 days of no rain might start to give the market the jitters. We will move into mid-April with no autumn break and if it’s still like this at the end of the month we might see young cattle values start to head lower again. It’s difficult to see where slaughter cattle are going to come from through late autumn and winter, so those prices will at least hold their strength.